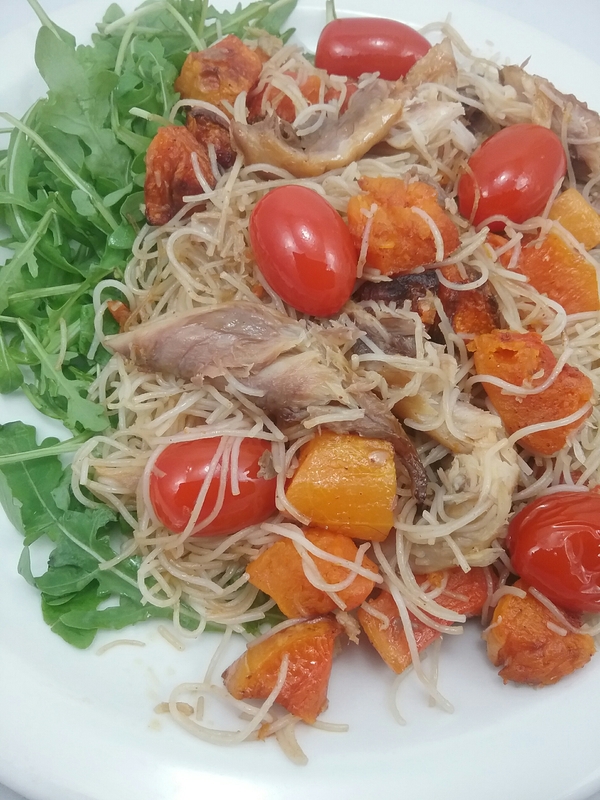 Smoked mackerel and rice noodles | Jo's food bites. Put butternut squash on a baking tray and drizzle with olive oil. Roast in oven for about 30 mins until cooked and edges crisping. Put a drizzle of olive oil in a frying pan and, once hot, add the rice noodles. Stir for a minute. Add the tomatoes and fry for a further minute. Drizzle with tamari. Add the fish and heat through. Finally add the roasted squash, stir and serve on a bed of rocket.